For the first time Gallery 139 is presenting an exhibition at The University Gallery - Newcastle, Callaghan campus. We are excited to be collaborating with University curator, Gillean Shaw to be presenting this original Sydney exhibition to a Newcastle audience. It is great to see the work in this wonderful large University Gallery space, the high ceilings and polished concrete floors all contributing to the way this exhibition is experienced. For me, it has been so inspiring to see these artists continue to build upon the momentum of the Sydney experience and to make new work with this exhibition in mind. Like a proud parent, I can't help but feel partly responsible for their development as artists, even though the only thing I offer is encouragement and sometimes a bit of advice. They are all extremely hard working artists, committed to their practices and to the future of their art careers and it's a pleasure to be part of their journey. Dino Consalvo Artist builds upon last year's shift towards abstraction and interest in focusing on the details with in the larger subject, in this case the Merewether Ocean Baths. A challenging process for Consalvo whose painting has been pushed to new lengths. With these new works we except to surprise those familiar with his previous en plein air work. 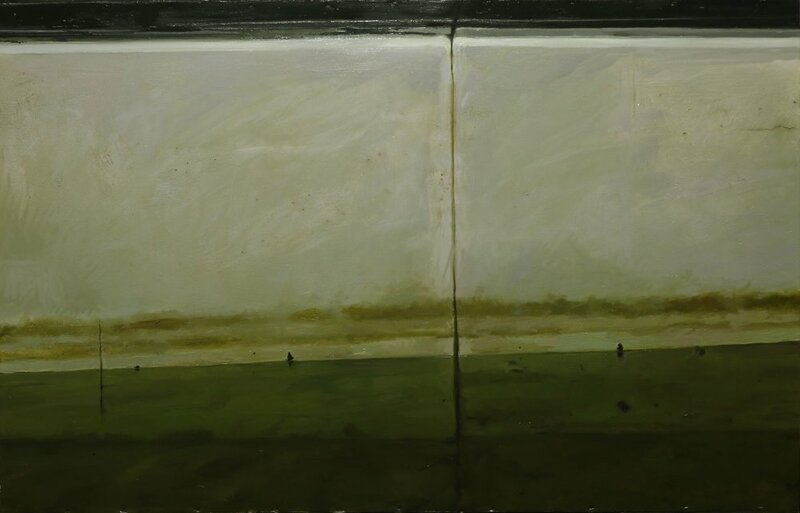 Peter Lankas Artist has continued to explore the suburbs, finding new imagery in everything around him. His works are filled with social and political commentary, satire and even homage to his favourite artists. In this exhibition Lankas continues to delight us with his familiar imagery, furious colour combinations and confident paint application. Paul Maher Art delves deeper into this microcosm of a coastal town, analysing it like a sociologist, graphing it like architect. There isn't anyone else in Newcastle that knows this place as intimately as Maher and certainly there is no-one in Newcastle that paints it's with such grace. He will also be exhibiting for the first time large-scale iPad drawings.